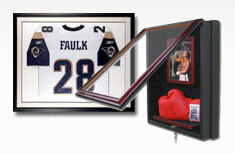 A 3 x Stanley Cup Champion with the Chicago Blackhawks. He won the Conn Smythe Trophy (Playoff MVP) in 2013. 4 x NHL All-Star. 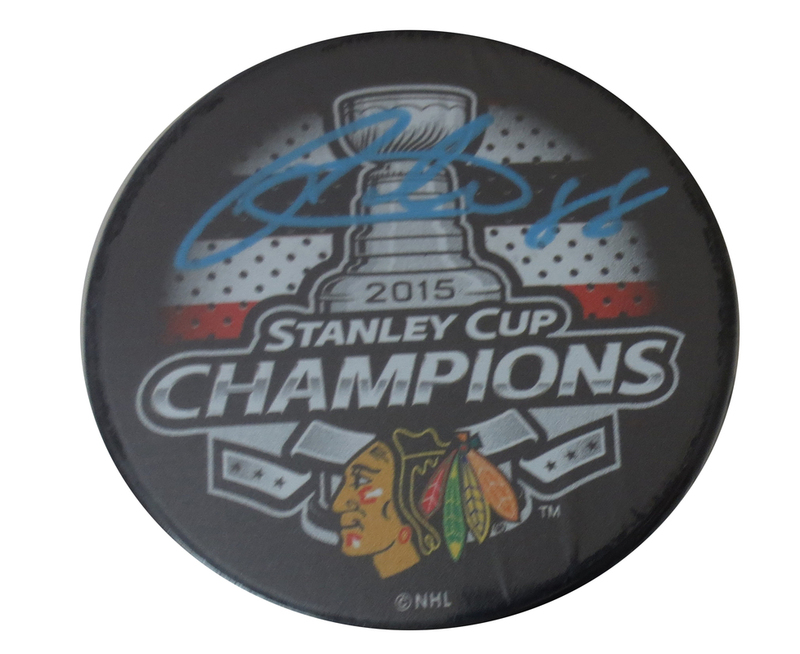 This officially licensed Blackhawks 2015 Stanley Cup Champions puck was autographed by Patrick Kane. 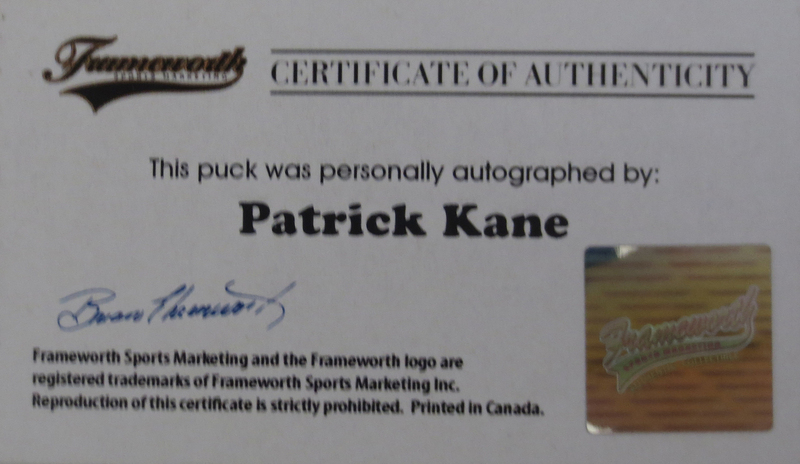 It comes with a certificate of authenticity from Frameworth, who is the exclusive memorabilia provider for Kane. 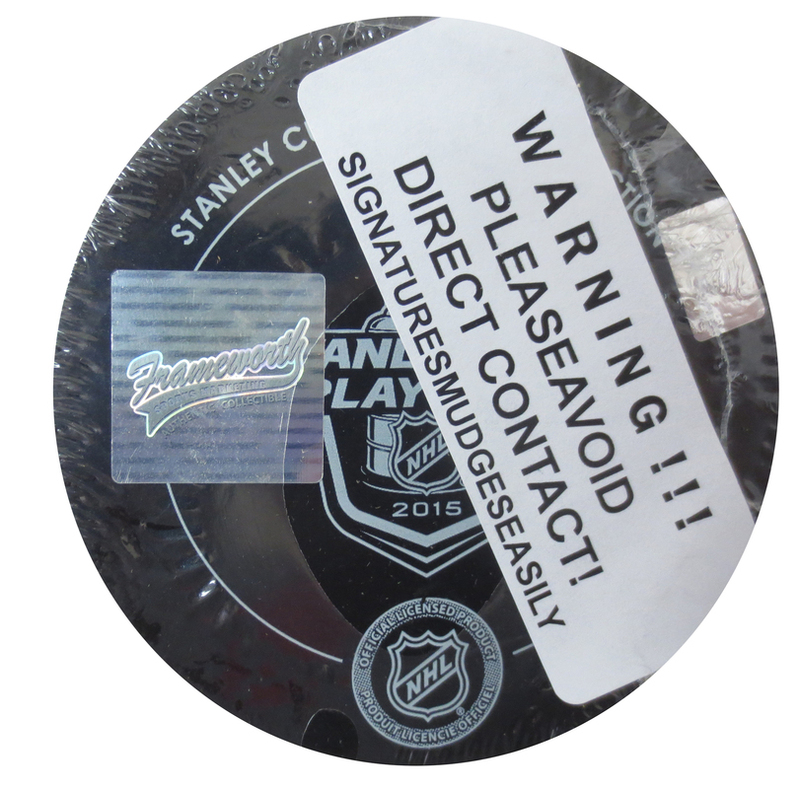 COA has the Frameworth hologram on the COA and puck.